My name is Tink and I was found all alone by a kind lady when I was just a tiny baby. �%A0Being without a home was very scary, and I was happy to be safe and loved!�%A0�%A0 I show my gratitude every day by always wanting to be around people. �%A0In fact, I hate being alone. 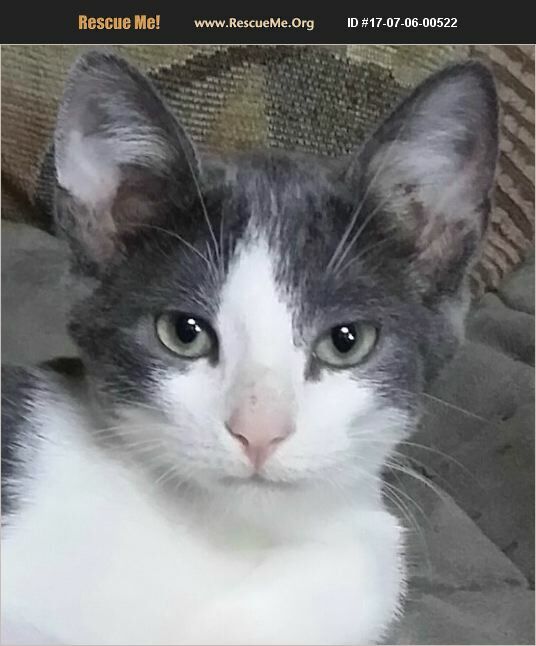 �%A0I am very affectionate and quite spunky, wanting to play almost any time that I am not napping. �%A0I am great with kids, and really enjoy hanging out with other cats and friendly dogs. �%A0Nothing would make me happier, though, than being adopted with another kitten playmate! �%A0I really hope to be adopted soon! �%A0Could you be the one for me?